I’m not sure whether it’s the done thing to mention directly somoene elses particular blog entry on your own blog? 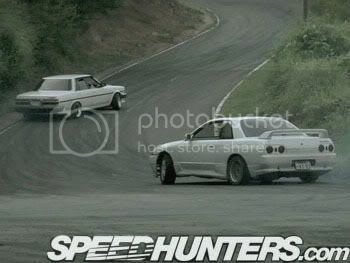 Regardless, I was stumbling about SpeedHunters.com this morning and found their entry with a downloadable and/or online viewable drift video from the Ebisu drift circuit(s) in Japan. I waited the required several years for it to download on my ISPs excuse for “Broadband” and not soon enough but eventually, I was watching a spectacularly edited video with simple use of music and slow motion to add drama. I think the large appeal of it was the majority of the cars are just street vehicles. Those familiar with the Japanese drift scene will know of Ebisu as part of the D1GP, though I believe D1GP only uses the main circuit and Ebisu has several different circuits in it’s confines. They are seemingly available to be used at whatever time, though I imagine it’s a matter of booking, etc. 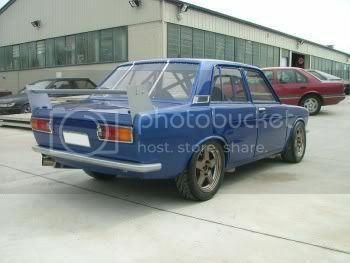 like it is at most NZ circuits. This one word may well be what you would hear cascading out from many a classic lover’s mouth once they start to delve in behind the panels of a project car they’ve just bought. As we all are well aware, old cars rust and they rust badly unless well taken care of. In the UK, things are even more tragic, with salted roads and by comparison to NZ a mammoth population, it’s a wonder they have as many classic or retro cars as they do. Despite this fact, the UK like everywhere else is by no means immune to spectacular finds of decidedly rare beasts. 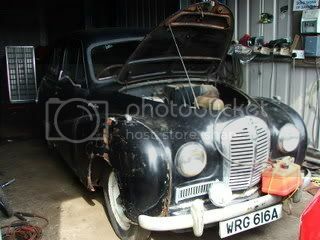 One such car which has been unappreciated in almost all era’s it’s been witness to since it’s inception is the Austin A40 Somerset. Having only been available from 1952 through to 1954 with production figures around 170,000 it’s safe to say it isn’t a particularly common motorvehicle at least in good shape. Which this one in question, really wasn’t. The beginning! Appears fairly solid from 3 metres. 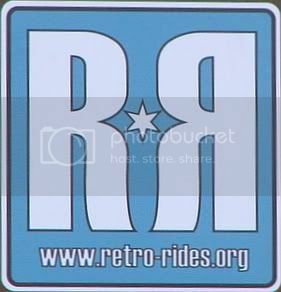 A few years back, whilst taking part in oldschool.co.nz forums, one of the member’s managed to stumble across a UK based forum, at that stage both forums were still in relative infancy, from then they have both grown massive amounts, retro-rides more so, likely due to the larger population base that the UK has to offer vs. NZ. I think the main reason why RR is so popular and why it has done so well is that for the most part it (thanks entirely to it’s dedicated founder and current moderating staff) has managed to avoid being too into any particular scene and as such always has a diverse range of member’s cars to show, another key point is that it’s always about the cars. There’s no off-topic, there’s no deviation, you’re there to talk and to read about cars. 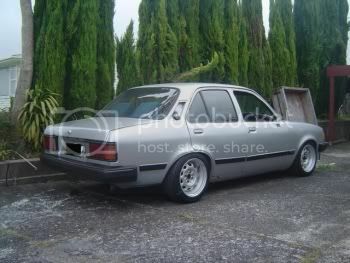 Every now and then you’ll stumble across a car or two that really makes you think, “Yeah.. that’s why I have cars as a hobby” or alternatively just something that makes you laugh and feel good about random automotive nonsense and the association with some of the people who share the hobby.